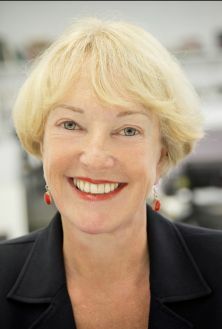 Professor Lis Howell, former award winning TV Journalist and Director of Broadcasting at City University London, inaugural lecture will cover her research into the use of women experts on TV and radio news, and the reaction of women themselves. She will announce the latest figures on the contribution of women to the public service broadcasters’ flagship news programmes, plus the BBC Radio 4 “Today” programme. The lecture will be introduced by Sophie Raworth, presenter of BBC News, and questions will be welcome. Guests are invited to stay for a reception following the event. Professor Lis Howell is a major award-winning journalist and broadcasting executive who has worked for BBC, ITV, Channel 4, and Sky News. She was Senior Vice-President at Flextech Television (later Virgin Media) where she founded Living TV, now a key channel on Sky. Prior to that she was Managing Editor of Sky News where she produced their coverage of the first Gulf War from Saudi Arabia and Kuwait. She won a Royal Television Society Award for coverage of the Lockerbie disaster from ITV Border when she was the first female Head of News at ITV. She was a television reporter and presenter at Granada and Tyne Tees and began her career in journalism as a producer and reporter at BBC Radio Leeds. In 1999 she chaired the Guardian International Edinburgh Television Festival. In 2001 she attended the prestigious Harvard Business School Advanced Management Programme. Currently Lis is a member of the Royal Television Society where she regularly chairs the News Programme of the Year Awards. She is also a judge for the Broadcast Magazine television Awards. She is a member of BAFTA and a regular contributor to Broadcast Magazine, openDemocracy and OurBeeb. She has appeared several times on the BBC Radio 4 Today programme and on BBC One's Newswatch and is a respected commentator on broadcasting. Lis is Director of Broadcasting at City University London. Sophie Raworth is an alumna and Honorary Graduate of City University London as well as one of the most recognisable faces on British television. A respected journalist, she is the main presenter of BBC News at One. Since January 2013, Dr Raworth has also been a guest presenter on the flagship current affairs programme The Andrew Marr Show and the main relief presenter for BBC News at Six and a regular relief presenter on the BBC News at Ten.